I have always had an interest in the weather! Some years ago I got receiving equipment for the polar orbiting weather satellites from NOAA on 137MHz and also for receiving meteosat on 1.6GHz which is now swithed off. 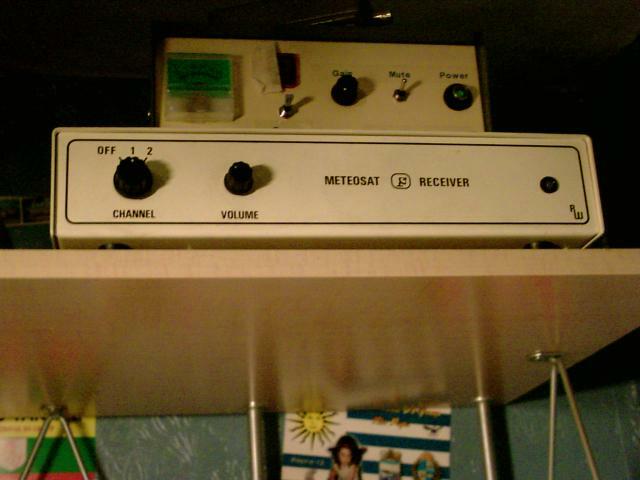 The receiver i have for the NOAA satellites is a RIG (remote imaging group http://www.rig.co.uk) RX-2. 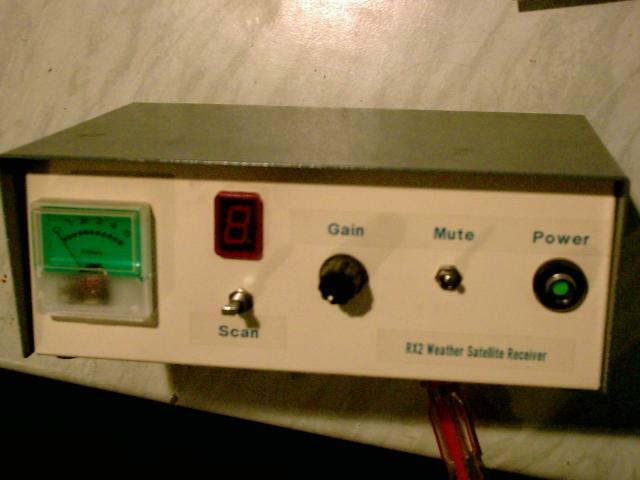 This is a specially make receiver (WAS available kit form) for the sattelite downlink frequencies on 137MHz in FM. I managed to get hold of one of these receivers at the Great Lumley radio rally in 2002 and was an excellent buy which included a pre-amp for 137MHz as well!. 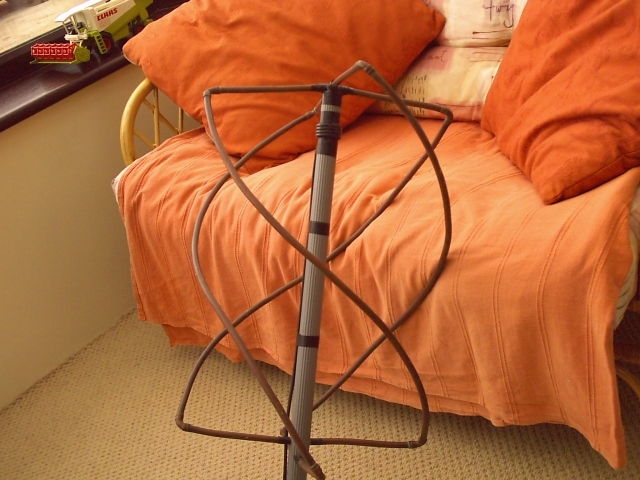 This was my best attemp at building one of these from microbore central heating tubing but seems to work very well with the preamp in line. The pictures that you can get look something like this which i took sometime early last year. 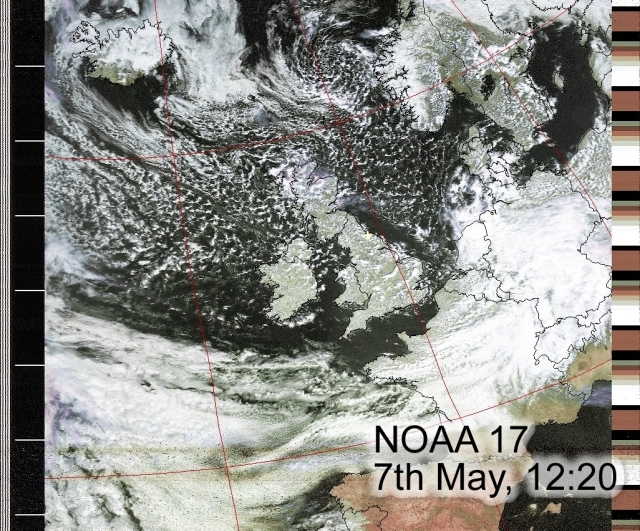 Larger areas could be seen by the signals from the meteosat geostationary satellite in blocks, but all of one side of the globe can be seen from its position and full globe pictures can be received. Unfortunately Meteosat is now switched off. The new weather satellite data that can be accessed from the hotbird satellite on 13e looks very interesting but i have not tried it yet... one-day!